KANSAS CITY, KAN. ----- The state of Kansas and four nonprofit organizations are seeking federal approval to conduct an experiment that they hope will boost participation in a summer meals program that now is serving only a fraction of eligible children. Led by the Kansas State Department of Education, the coalition is asking the U.S. Department of Agriculture to temporarily waive some rules so that it can conduct a demonstration project to feed needy children in rural parts of the state when school is out for the summer. 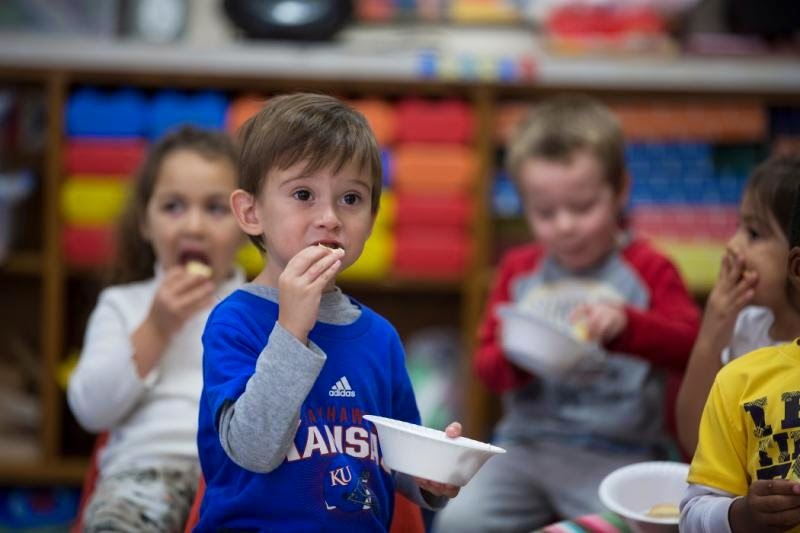 In 2013, for every 100 Kansas children who ate free and reduced-price lunches during the school year only seven participated in Summer Food Service Program. One of the biggest reasons for the low participation was the fact that there were no meal sites in 44 rural counties. Cheryl Johnson, director of child nutrition and wellness for KSDE, said federal rules that require children to travel to congregate meal sites could be part of the problem. The waiver would test that theory by allowing KSDE and its nonprofit partners to feed children at congregate sites one day but send them home with packaged meals for the next day. The Kansas Food Bank, Harvesters Community Food Network, Kansas Health Foundation and Kansas Appleseed joined with KSDE to submit the waiver request on Feb. 20. KSDE and its partners hope to use the demonstration project and other initiatives to increase the number of meals served this summer to 1.4 million, a 20 percent increase over last year. The overall cost of the summer meals program would rise if participation increased, but the demonstration project wouldn’t generate any additional administrative costs, according to the waiver application. The food bank, which is based in Wichita, and the Harvesters network, which is based in the Kansas City area, would recruit volunteers to staff 12 demonstration-project sites. A Summer Meals Summit convened in January by the Kansas Health Foundation helped prompt the idea for the demonstration project. At that summit, Audrey Rowe, the administrator of the USDA Food and Nutrition Service, said many of the tens of thousands of Kansas children who qualify for free and reduced-price meals during the school year go hungry in the summer. Filling the gaps in rural areas of the state may not be the only challenge faced by state officials and the more than 120 sponsors of the summer meals programs. Recent cuts in K-12 funding ordered by Gov. Sam Brownback to help avert state budget shortfalls have prompted the Topeka school district and some others to contemplate shutting down their meal sites. KSDE is working on a contingency plan, Johnson said. “We are working with community organizations in advance trying to come up with ways we can still try to meet the need if we do have reduced school sites,” she said. That could be community swimming pools, baseball fields, libraries or even “the Walmart parking lot,” she said. Editor’s note: The Kansas Health Foundation is primary funder of the Kansas Health Institute, the parent organization of the editorially independent KHI News Service.